Introducing the New Packaging System! The same great paper now has a new face. Some even have new names to make it easier to find the right paper for the job. 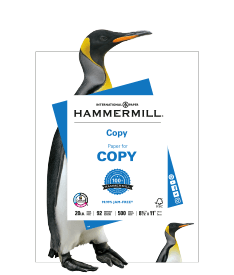 Each kind of paper has its own distinctive character— an animal from the Hammermill Habitat! 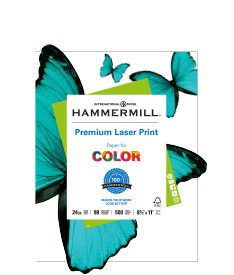 Each ream is also color-coded to help you choose the right paper. Paper for Color with the green paper frame is for color-intensive projects. 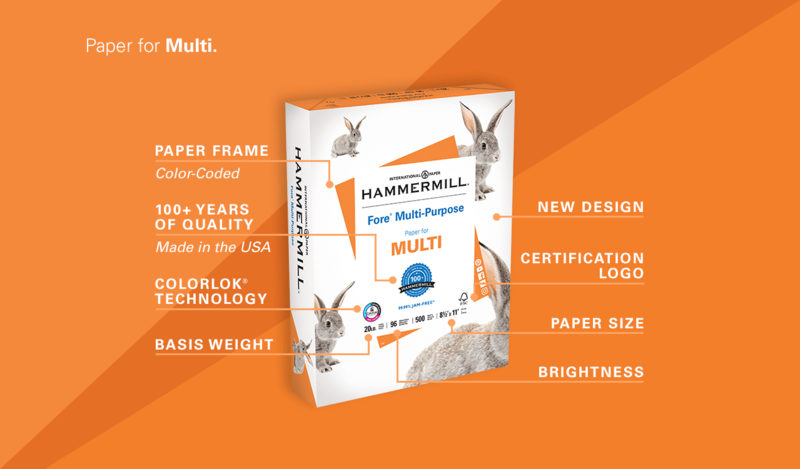 Paper for Multi with the orange paper frame is for double-sided printing or if you are printing different kinds of projects. 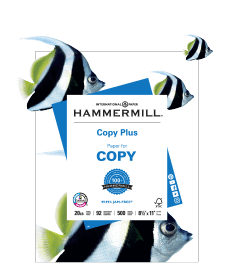 Paper for Copy with the blue paper frame is for everyday printing or simple black-and-white documents. 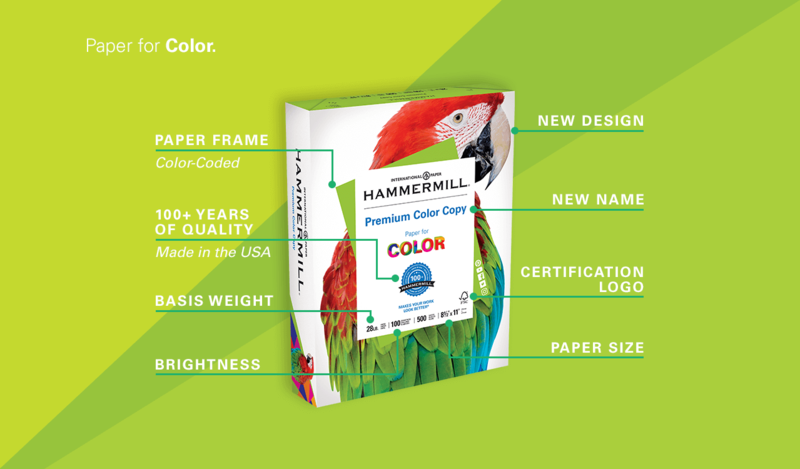 The Hammermill Hummingbird needs a name - vote for your favorite now! Make your colors speak! 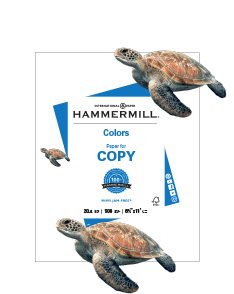 Choose this paper for all of your important color intensive documents, from design proposals or full-color presentations to photographs, flyers or brochures. 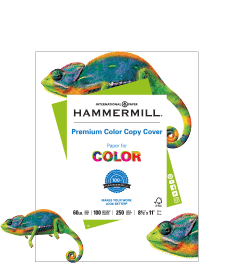 Vibrant, versatile and eye-catching, this durable, cover weight sheet is designed specifically for color copiers and color laser printers. 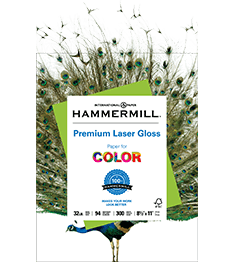 This paper’s glossy surface produces high-quality documents that look professionally printed, when used on color laser printers and color copiers. A high-performance sheet, made to run effectively through all office equipment. 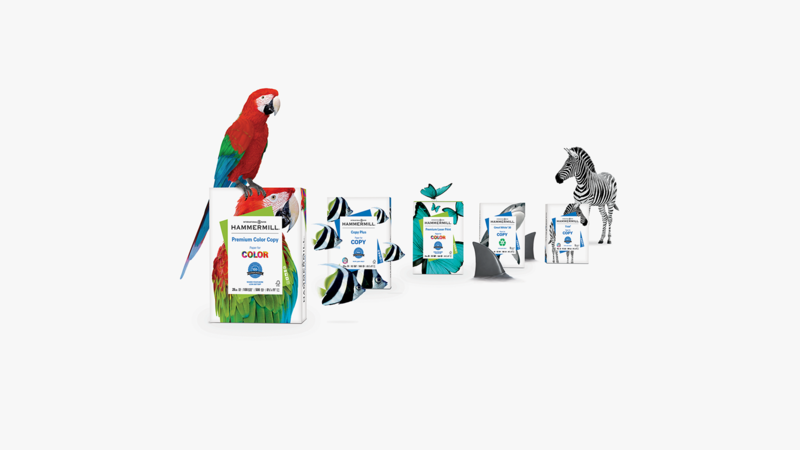 The high brightness and heavy basis weight produce high-quality documents. 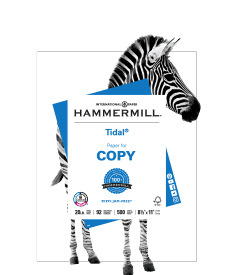 Whether you need quality copies quickly or a speedy solution to double-sided printing, our high-quality, multi-purpose paper runs well through electronic imaging equipment. 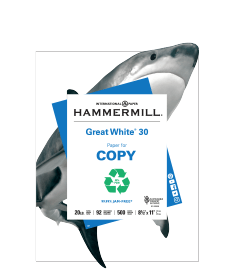 This economical paper offers dependable performance on all office machines. This everyday paper works great in the office, at home, and of course, in school. 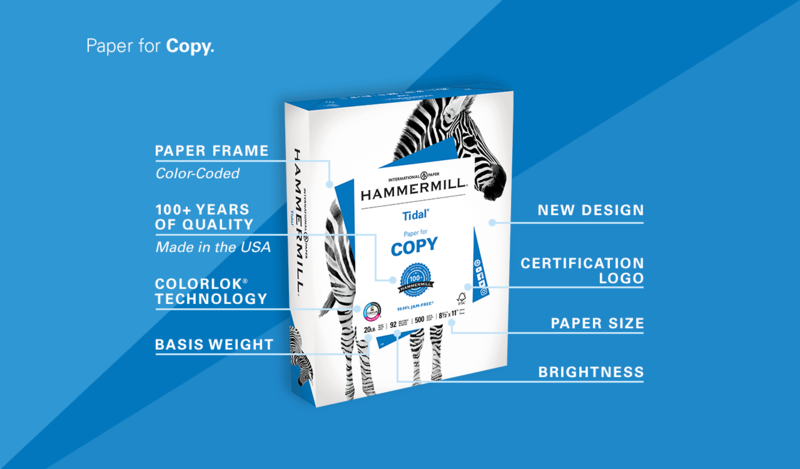 For crisp black-and-white printing or everyday needs, this value-priced sheet runs great on all imaging equipment and offers dependable performance at a reasonable cost. 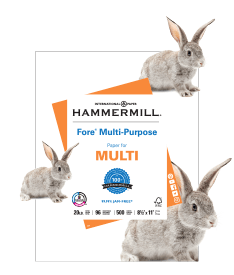 This versatile, recycled office paper makes hard work seem effortless. This dependable, everyday sheet runs efficiently through all equipment. 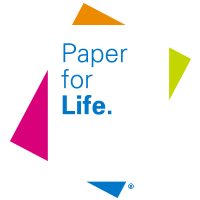 Get organized or have fun using these pastel papers that run on all office imaging equipment. 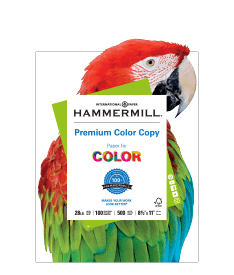 This dependable grade is available in fifteen colors, all containing 30% recycled fiber. 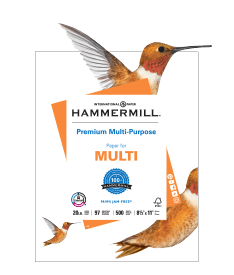 The Hummingbird from our Hammermill® Habitat needs a name! Submit your favorite name from the four choices below.